Leaf season is upon us! October, arguably the most anticipated month of the year, is nearly upon us. Everyone is gearing up for the scent of cinnamon filling ones home, carving pumpkins, the jaw-dropping spectacle of the changing leaves, scarves, crisp air and of course, pumpkin spiced EVERYTHING. With Autumn on the forecast and knowing all the joy it brings to people’s hearts I thought now would be a good time to share with you all the fun things to do in the month of October! Because let’s face it, around here, the whole month of October is basically a holiday in and of itself! Let’s check out some of the exciting shenanigans we can dive in to, shall we? ties. 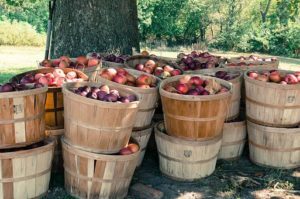 Head over to one of our many apple farms for apple strudel, apple pie, apple cider, hay rides, apple bobbing and of course….apples! Granddads Apples, Stepps Hillcrest Orchard and Lyda farms are great places to start! Lake Lure Arts Festival is an outstanding event and possibly the most sought after festival throughout the entire year around these parts. From October 20th to the 21st come enjoy the spirit of Asheville on the gorgeous Lake Lure property with the autumn color backdrop in the mountains. This festival only showcases local artisanal artists and crafters and offers many musical shows and fun-filled festivities. 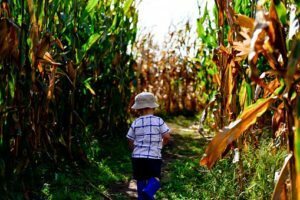 If you are in the mood for a bit of an adventure head over to the Eliada Corn Maze! This is definitely a local treat for people around here and is also a very family friendly event. 12 acres of tall corn will be sure to challenge your sense of direction as you work to find your way out of the maze. Each year the design of the maze is changed to keep people on their toes! Driving the Blue Ridge Parkway is an absolute must do for visitors and locals alike! No one should ever pass up the opportunity to drive up and down the winding roads of the blue ridge parkway going up and down in elevation while witnessing some of the most spectacular views that the entire country has to offer! There are so many mile markers and stop offs for picnics and hikes! No matter how busy the parkway may be there is always a place to find for solitude and peace of mind. 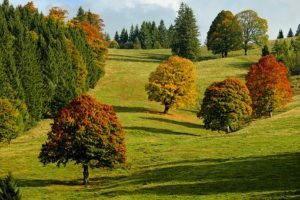 This entry was posted in Uncategorized and tagged Blue Ridge Mountains, Daytrips from Wildberry Lodge, fall colors, Festivals, Nature, October, Things to Do, Wildberry recommendations by admin. Bookmark the permalink.